Pickup: Horn in the West. Other Information: We strive to create diverse and abundant boxes each week. 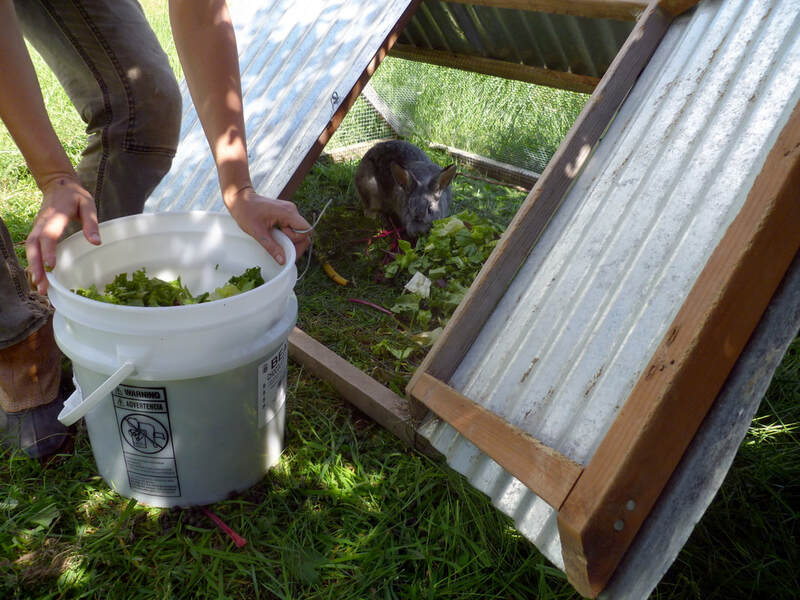 You can also expect a weekly newsletter with pictures, recipe ideas and news from the farm. Products: We offer 25 different types of vegetables, eggs, beef, and pork shares for 20 weeks in the summer. Pricing: We offer full shares which receive $25 worth of food every week and cost $500. We also offer half shares which receive $15 worth of food every week and cost $300. Vegetarian and vegan shares are available. ​Pickup: Agricultural Extension Office in Boone on Tuesdays, the farm in Creston on Tuesdays, Ashe County Farmers' Market on Wednesdays, Watauga County Farmers' Market on Saturdays. Other Information: Creeksong Farm is a multigenerational family farm that has the longest running CSA in the High Country. We offer 25 different kinds of sustainably grown vegetables, eggs, beef, and pork that is all grown by us on our one hundred acre farm in Ashe County. We offer several pickup times, locations, and days to accommodate most schedules. Check out our website for more information and give us a call to reserve your share of the 2018 harvest! Products: We carry two different boxes including an organic vegetables and fruit box and pork boxes with humanely raised, non-GMO and local pork. Products: We offer local, pesticide free fruits and vegetables. We offer a Summer option for 12 weeks. A fall option for 8 weeks. Or a summer and fall combo for 20 weeks. We only offer a regular size box. We offer many add-ons each week. These include grains such as grits, corn meal and popcorn, dried beans, homemade jams and jellies, baked goods and fresh flowers just to name a few. Pricing: Our boxes are $25 per week. Pickup: Pick up locations will be determined by customers in the Boone area. In Ashe we have a pick up location in Jefferson and West Jefferson and in Wilkes county our pick up location is the Wilkes County Partnership for Children office. 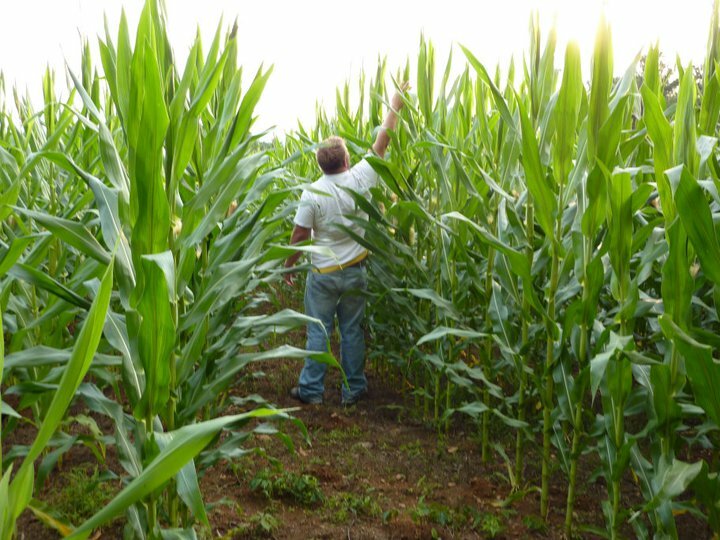 Certifications: We are pesticide free and Appalachian Grown. We also grow non-GMO products. Available: Summer (June 1 - Aug 31) and Fall (Sept 1 - Nov 31). Other Information: CSA members will also be able to add-on certain items when available at a discount, including extra rabbit, lamb, produce and berries. Products: We offer a variety of beef, pork and chicken. Community Supported Agriculture (CSA) provides a way for consumers to be connected with local, seasonal food, directly from the farmer who grows it. A farmer will offer a number of "shares" to the public, which typically consist of vegetables, but could also include other farm products. Interested consumers will purchase a share and receive food from a designated area each week. 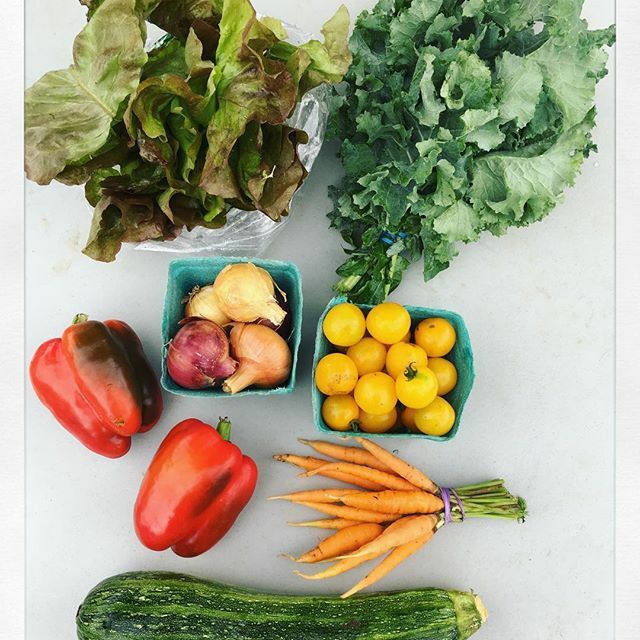 CSAs provide consumers with easy access to new vegetables that are nutritional, fresh, and full of flavor, while supporting local farms and agriculture, and connect the consumer with both farmer and food. 6 Weeks of fifteen- twenty beautiful mixed dahlias, for $126/6 weeks or $108 for pickup at our nursery in Zionville, NC 10 miles from Boone. These all dahlia bouquets. 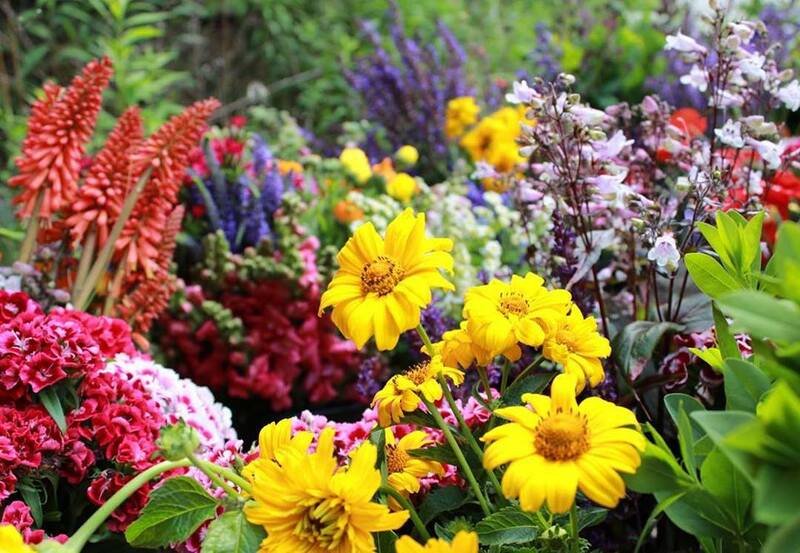 These fun mixed buckets of flowers are 70 stems of our best flowers for you to arrange. We supply a mixture of focal, filler and line flowers each week. These are the same volume as our bridal DIY buckets @ the discounted price of $70 per bucket. Pickups @ our Nursery in Zionville are less @ $65 per bucket. To order more than one months subscription, add more to your cart. If you want more than one per week, please call us or place two separate orders. Our Bucket share starts June 5. A large mixed bouquet of our finest flowers, sleeved and ready for the trip home. Order 1 month at a time. Flowered are delivered the 1st four weeks of each summer month, June -September. Tuesday afternoon pickups in Boone, @$120/4 weeks. Or you may choose the nursery for a Thursday afternoon pickups the same, large mixed bouquet, of freshly cut flowers @$108/ 4 weeks. A $3/week discount. Please choose one location when signing up. These bouquets are 20-25 stem arrangements, so you may choose to make smaller bouquets with them. Each of these bouquets will include a careful mixture of filler and line flowers, greenery and focal flowers such as dahlias and lisianthus. If you are looking for more than one bouquet per week, please place two separate orders or call us. Pickup: Banner Elk (Base Camp BE), Trosly Farm, Johnson City,TN (Farmers Market & Main St. Sweets) and we offer Home Delivery for an added fee. Order Deadline: ​We have open enrollment all season! Other Information: We are passionate about growing and love to see our food being shared around your table! Where else can you eat local? 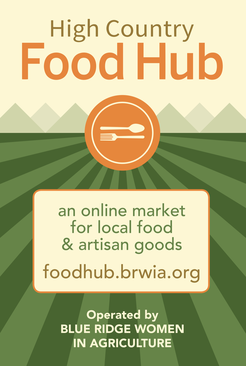 The High Country Food Hub is a central storage facility and online farmers' market for locally-grown food. Blue Ridge Women in Agriculture and the Watauga County Cooperative Extension worked together to create this space which will open new markets for our community's farmers and serve as a collection site for vegetables grown in community gardens, before they are distributed at local food banks. Ordering from the High Country Food Hub helps to build and support our community, and to preserve our precious agricultural land for future use. 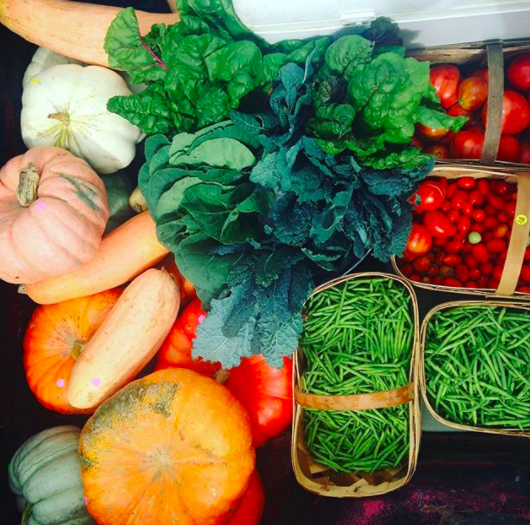 Customers can now order CSAs through the High Country Food Hub! 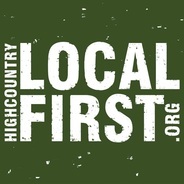 High Country Local First is a non-profit organization that seeks to strengthen the local economy by supporting locally owned, independent businesses and farmers through education, promotion, and networking. High Country Local First envisions a community where local businesses are prosperous, where citizens make informed decisions on how and where they purchase goods and services, and a community that as a whole becomes more self-reliant by utilizing the strength of its own assets. ASAP’s Local Food Guide is a free directory to family farms, farmers tailgate markets, wineries, grocers, restaurants, caterers and bakers, farm stores and stands, farms to visit, B&Bs and farm lodging, apple farms, u-pick farms, CSAs, and distributors in the Southern Appalachians.